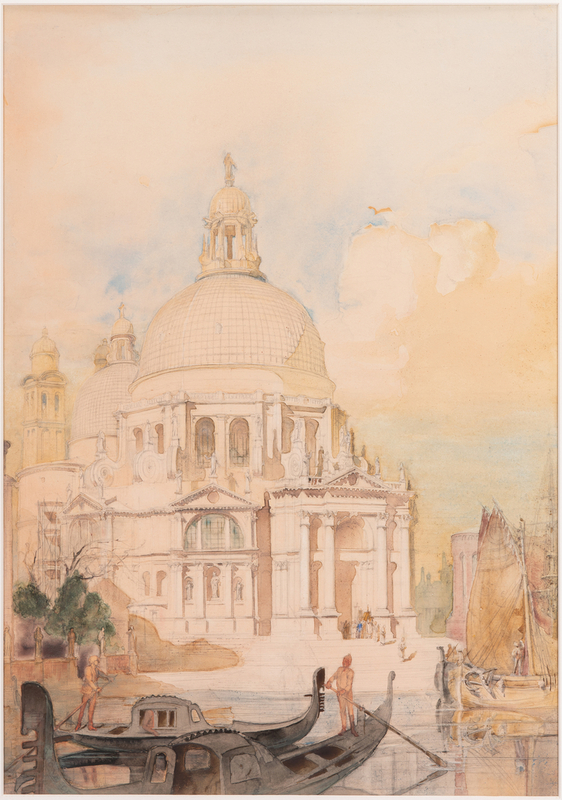 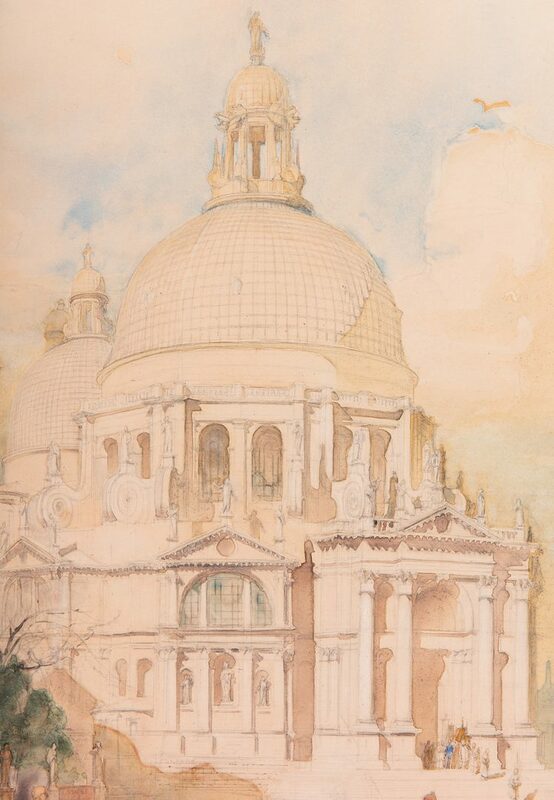 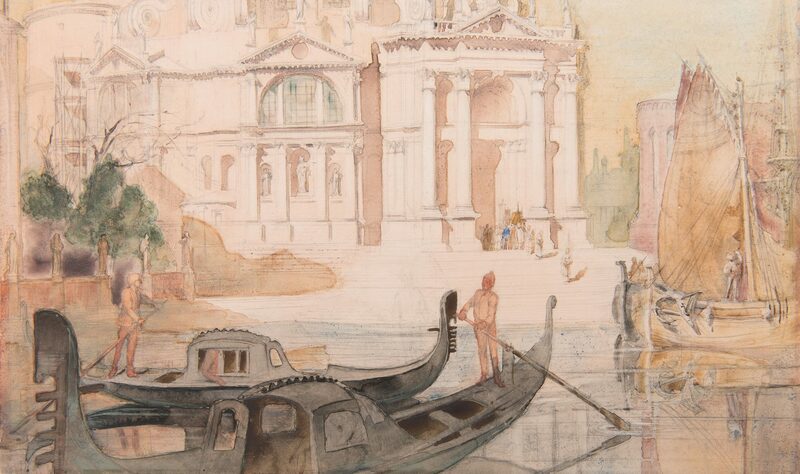 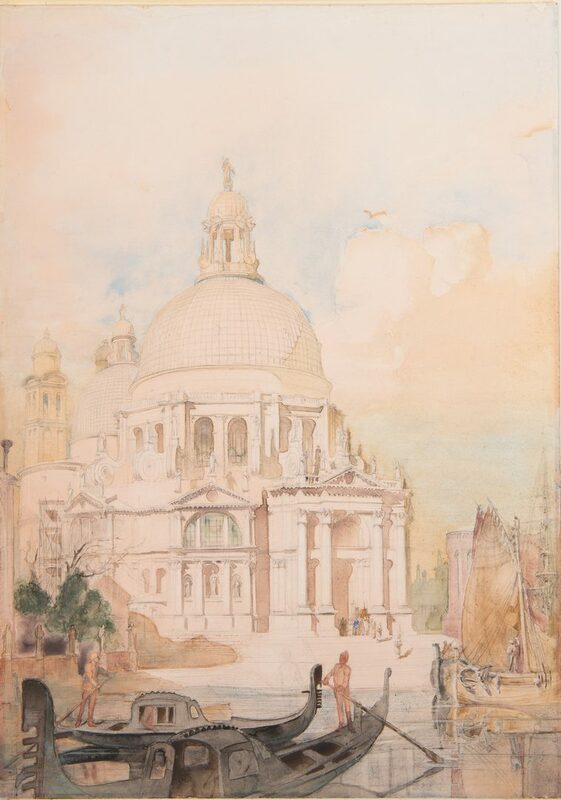 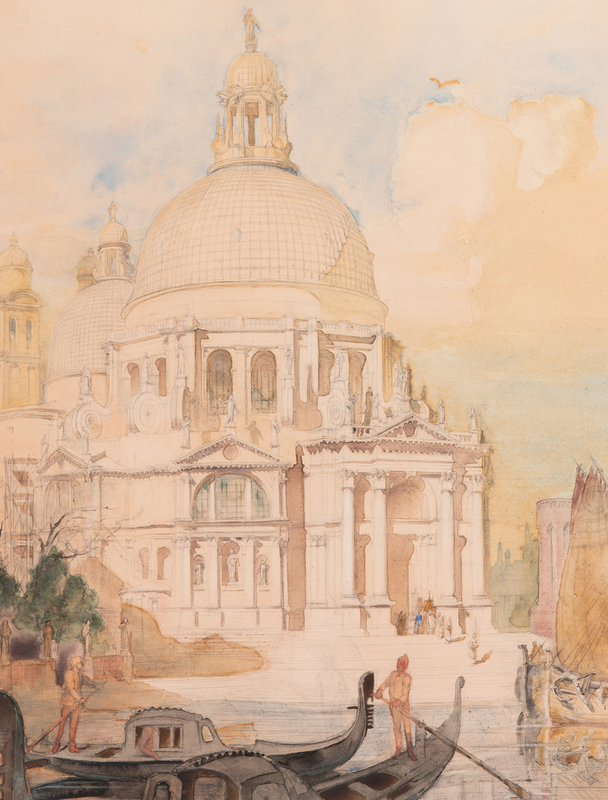 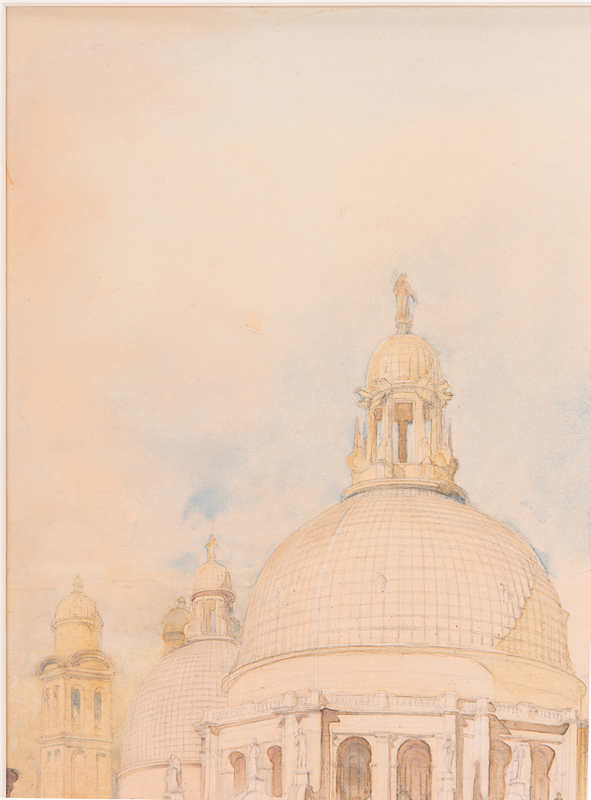 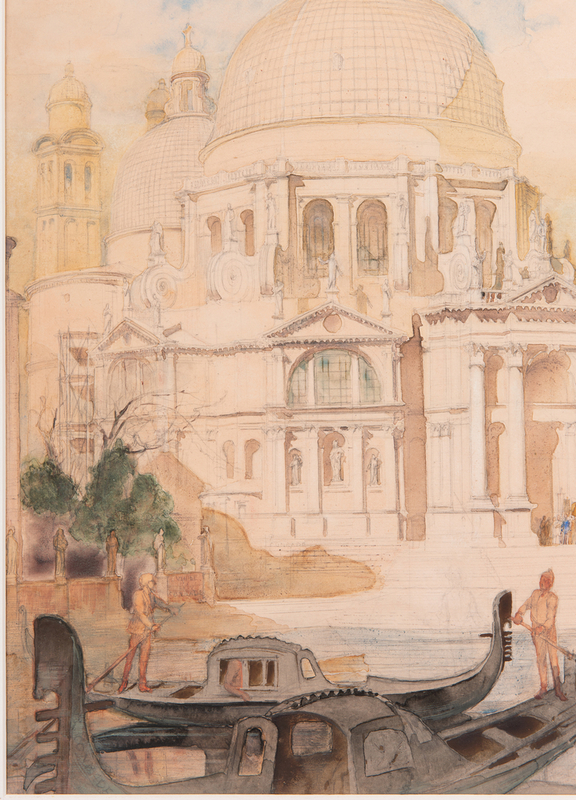 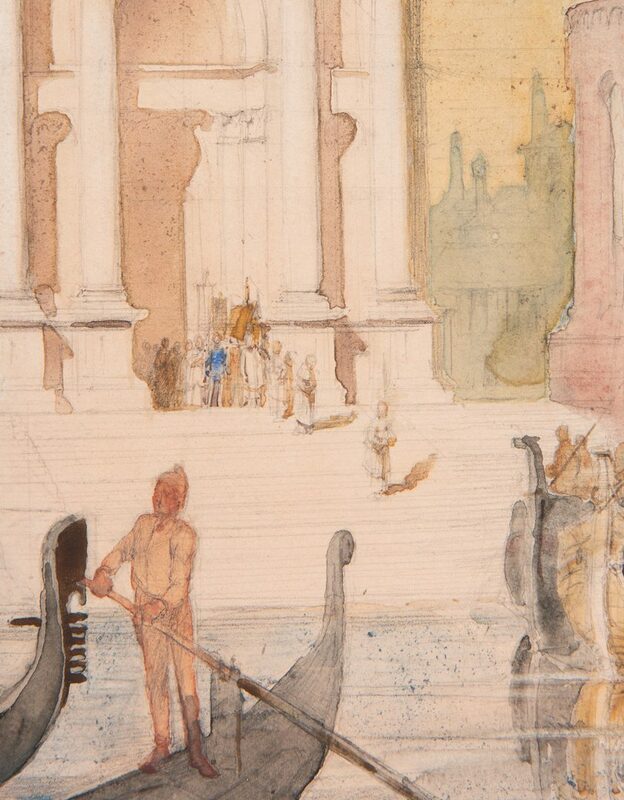 Alfred Charles Conrade (United Kingdom, 1863-1955) watercolor on paper depicting a busy Venetian canal with the Santa Maria Maggiore and figures in the background. 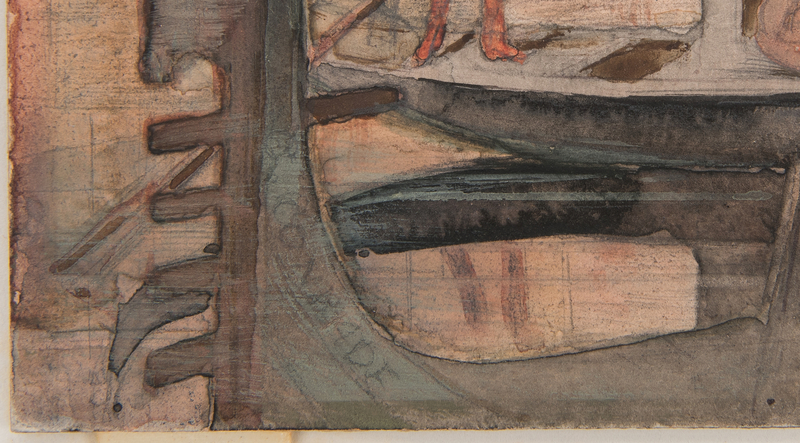 Signed "A. C. Conrade" lower left in gondola. 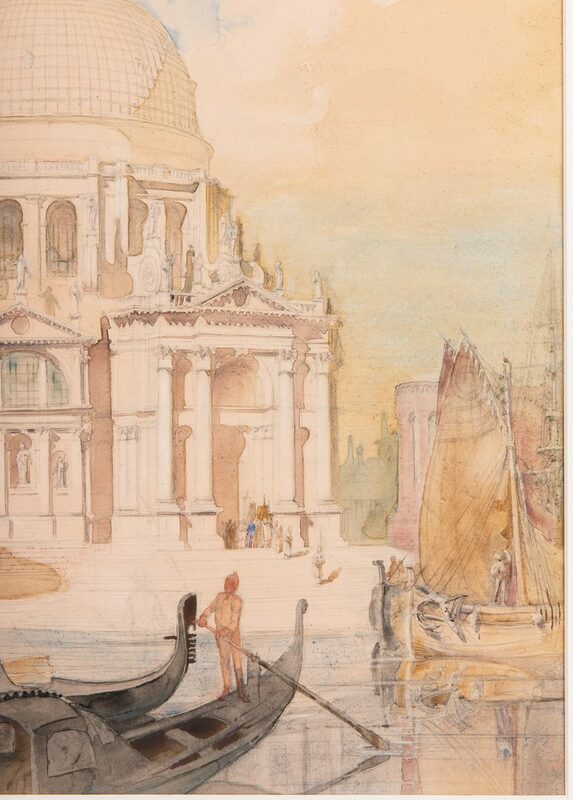 Housed in a contemporary gilt and painted frame under glass. 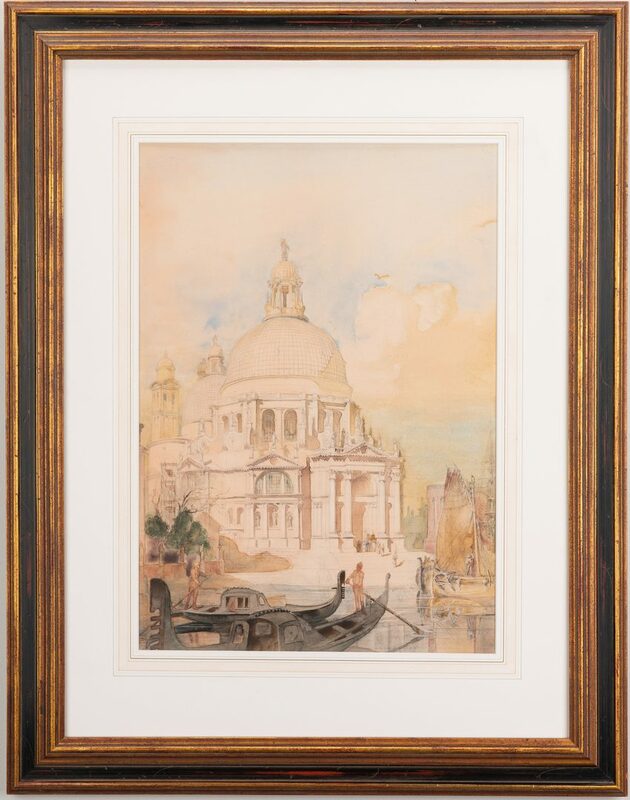 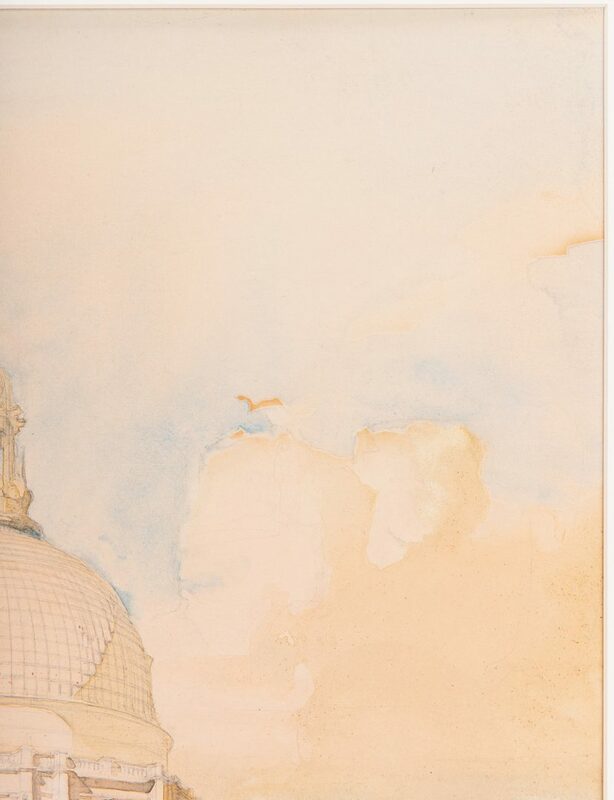 Sight 20 1/2" H x 14 1/2" W. Framed – 32 1/2" H x 25 1/2" W. CONDITION: Watercolor overall very good condition. 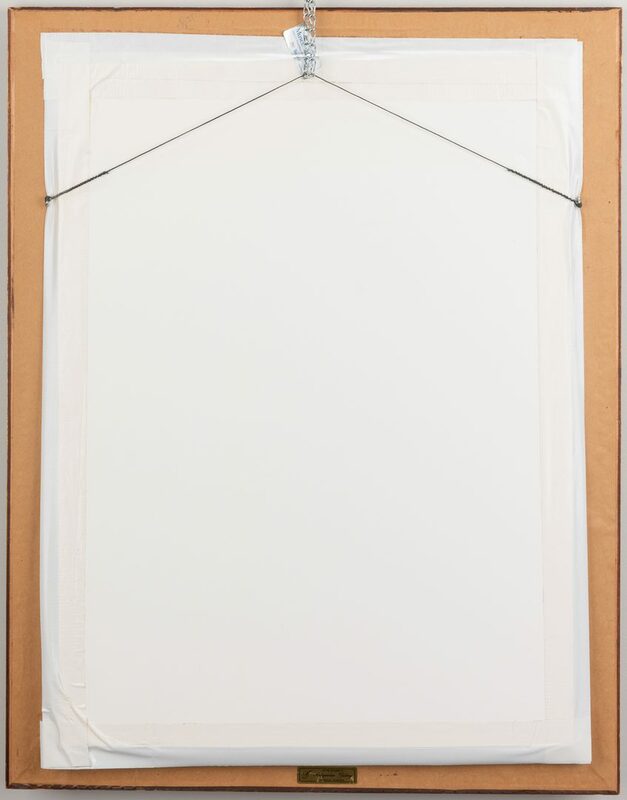 Frame with minor abrasions and wear.